UPDATE: View pictures from the 2015 event here! AIA Detroit is a proud sponsor of this year’s 6th annual AIAS Beaux Arts Ball. Join the University of Detroit Mercy and Lawrence Technological University’s American Institute of Architecture Students chapters on February 13th at St. Andrews Hall in Detroit for a night of networking and dancing. Historically, Beaux Arts Ball was an annual costume ball traditioally hosted by studuents at the Ecole des Beaux Arts in Paris. In 1931, it’s reputation had spread to New York, where famous architects began dressing up as their own buildings for the event. This trend continued to live on in architecture schools across the country, including here in Michigan, where our local architecture schools would host a similarly styled event attended by faculty and students alike. 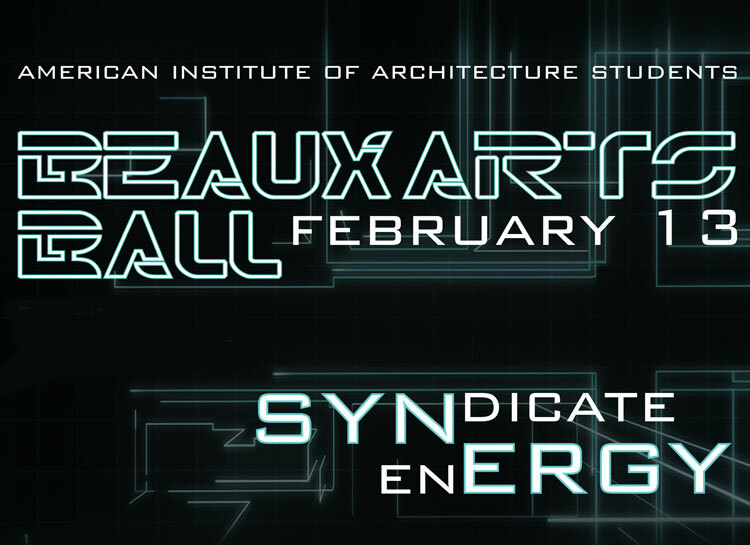 In 2010, after years of not having a Beaux Arts Ball at any of the architecture schools, the AIAS chapters at Lawrence Tech and University of Detroit Mercy decided to work together to revitalize this annual event. Past venues have included the Detroit Yacht Club on Belle Isle, the Fox Theatre, and the Detroit Masonic Temple, but the students are excited to try something new with the historic St. Andrews Hall this year.